Staying at Caesar's Casino & Resort • $100 in meal & slot credits. Enjoy the contrast of two vastly different worlds on this 4-day tour. Energize yourself with the hustle & bustle, neon lights, the glitter and the energy of Atlantic City and then wind down with the slow pace and tranquility of Victorian Cape May. This tour stays at Caesar's Casino & Resort, rated the #1 hotel in Atlantic City according to Trip Advisor! Walk along Atlantic City's famous beaches, mere steps from our hotel and then watch the world go by on the equally world-famous Boardwalk, located directly in front of our hotel. 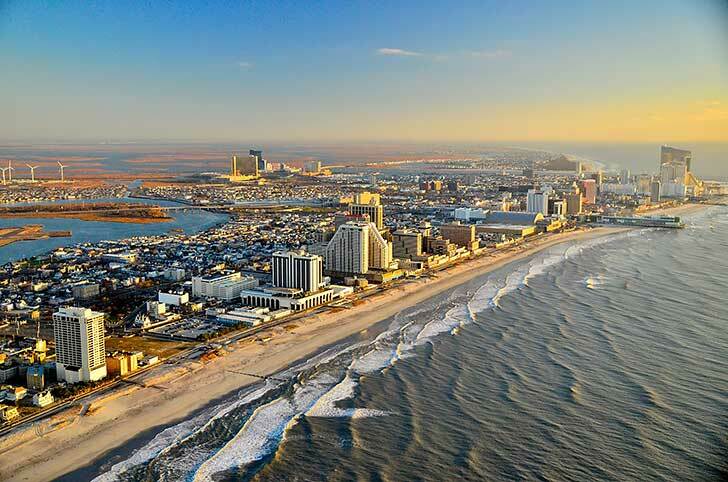 Also included in the tour is $100 in meal and slot play credits, an Atlantic City Skyline boat cruise, a guided bus tour of Atlantic City, a visit to the Cape May Sunset Point Lighthouse and a chance for you to hunt for your own Cape May "diamonds" on the beach. $79 deposit per person to reserve seat. 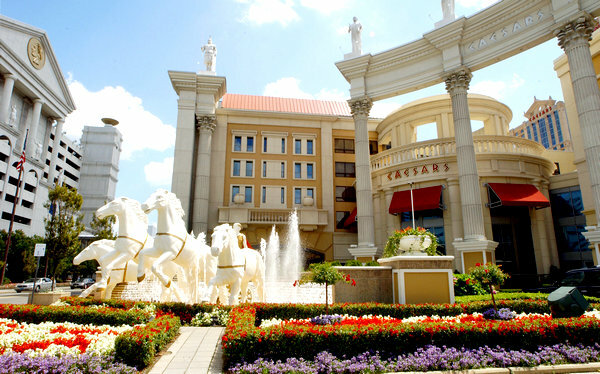 3 nights stay at Caesar's Casino & Resort, Atlantic City included. $100 in meal vouchers and slot play credits included. Details below. Atlantic City Skyline Boat Cruise included. Visit to Cape May Point Lighthouse & Sunset Beach. Search for your own Cape May "diamonds" on the beach. 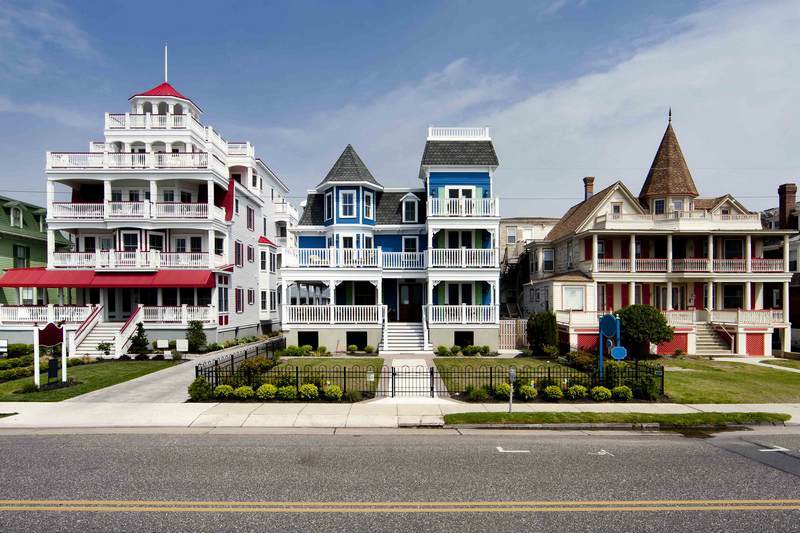 Guided & narrated Trolley Tour of Cape May Historic District included. 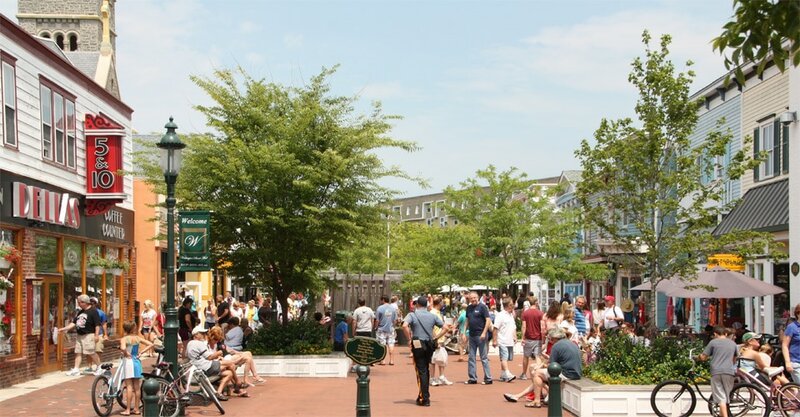 Free time & lunch on your own at the Cape May Washington Street Mall. 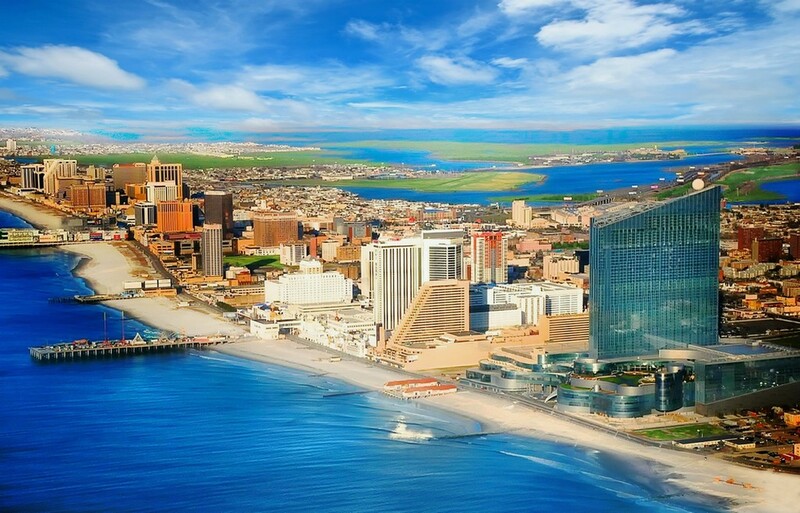 Guided 1-hour bus tour of Atlantic City included. Complimentary bottled water & snacks on bus included. 9:30 AM - Grimsby Carpool Lot, QEW & Casablanca Blvd. $79 deposit per person to reserve seat. Deposit is non-refundable once paid. ﻿All prices below are per person, in Canadian dollars. ​​All taxes & tips included. $79 deposit required to reserve your seats. Deposit is non-refundable once paid. Full payments due as per payment schedule below. Final payments are non-refundable once paid. Reminder emails will be sent a few days before the payment due date. For the visit to Cape May, we leave our hotel on Day 2 at 10:00 AM and return to Atlantic City at 6:00 PM. This side trip to Cape May is completely optional and if you prefer, you are welcome to spend your day in Atlantic City. While you are in Cape May, you start with a narrated trolley tour followed by lunch on your own at Washington Street Mall and on our way back to Atlantic City, we stop Cape May Point State Park and Cape May Lighthouse followed by a second stop at Sunset Beach where you can hunt for "Cape May diamonds". On Day 3, we leave our hotel at 10:00 AM and return to our hotel at 1:00 PM. 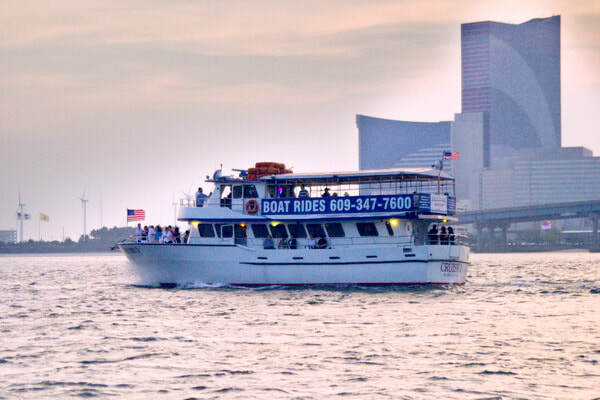 As on the previous day, today's excursion for the cruise and tour is completely optional and if you prefer, you are welcome to spend your day in Atlantic City. Get set for a spectacular skyline view of Atlantic City as you enjoy a narrated 60 minute cruise along Atlantic City's coast line. Captain George will provide interesting and historical information as he takes you up the coast. After the cruise, we get a 1-hour guided bus tour of Atlantic City with a local tour guide. The rest of the day is free time for you to enjoy the city, visit Tanger Outlet Mall, just a 5 minute walk from our hotel, or stroll along the famous Atlantic City Board right outside the hotel. 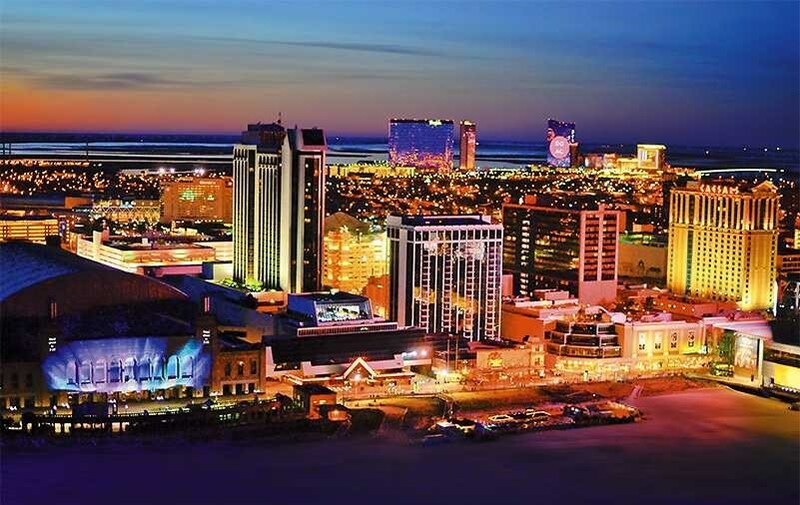 Caesar's Casino & Resort Atlantic City boasts a prime location along the famed Atlantic City Boardwalk, with 300+ feet of Boardwalk frontage and beach overlooking the Atlantic Ocean. This is one of the largest casinos in Atlantic City with over 125,000 square-feet of casino floor, more than 3,400 slot machines, 135 table games, 20 poker tables, a boardwalk beach bar, 12 restaurants, an outdoor swimming pool, health club and spa, salon, and the attached 4 level shopping complex called Playground Pier. 3 x $20 meal vouchers. Total $60 in meal credits per person. 1 x $40 slot play voucher per person.